If we ask – Why do people wear contact lenses? – you’ll probably answer instantly, To correct their vision. Right? Well, nowadays that’s not the full response. Contact lenses are also used to help heal eye disease, similar to how a bandage can facilitate healing and relieve surface pain. 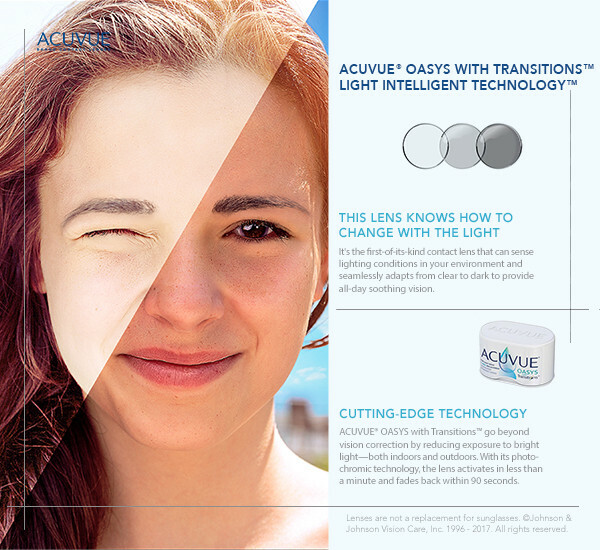 One type of medical contact lens is Prokera, which contains biological material to help restore ocular health. Prokera is a breakthrough treatment that our Norwalk eye doctor may recommend for severe cases of dry eye syndrome. It is made out of a clear, flexible material and contains a piece of amniotic membrane derived from the placenta. This tissue boasts a variety of natural healing properties. It is taken only from healthy, consenting females following a c-section delivery, and the tissue is fully tested and screened for disease. Similar to how an amniotic membrane surrounds and protects a baby to encourage healthy growth, Prokera soothes and rejuvenates eyes. Truth be told, science does not entirely understand how amniotic tissue works to give protection and healing properties. Yet, scientific research does demonstrate clearly that when Prokera is applied to eye tissue, it facilitates faster healing, relieves pain, reduces scarring, and decreased inflammation. What we do know is that Prokera coats the eye surface, protecting it from both the outside environment and your eyelid. It enables healing by reducing certain pro-inflammatory chemicals and specific growth factors, as well as offering antibacterial properties to prevent infection. Also, Prokera lowers the risk of abnormal blood vessels forming in your eye. Inserting Prokera is relatively simple and performed in the comfort of our Norwalk eye care clinic. After you are seated in the examination chair, your eye doctor will insert Prokera in a similar way to how a regular contact lenses is put in. Because a Prokera contact lens is much larger than a typical contact lens, we will need to insert the device under your upper eyelid first, and then pull the lower eyelid outwards in order to push the bottom part of the Prokera lens beneath it. Once insertion is complete and you close your eyelids, you may feel the presence of the Prokera lens, yet there is no pain. Typically, patients need to wear the Prokera lens for about 10 days, and we will provide you with a personalized schedule for follow-up eye exams during this time. According to recent statistics, as many as 93% of patients who use Prokera for dry eye report relief from their irritating symptoms. If you suffer from dry eye syndrome, please book a consultation with our Norwalk eye doctor to discuss whether Prokera could help you!